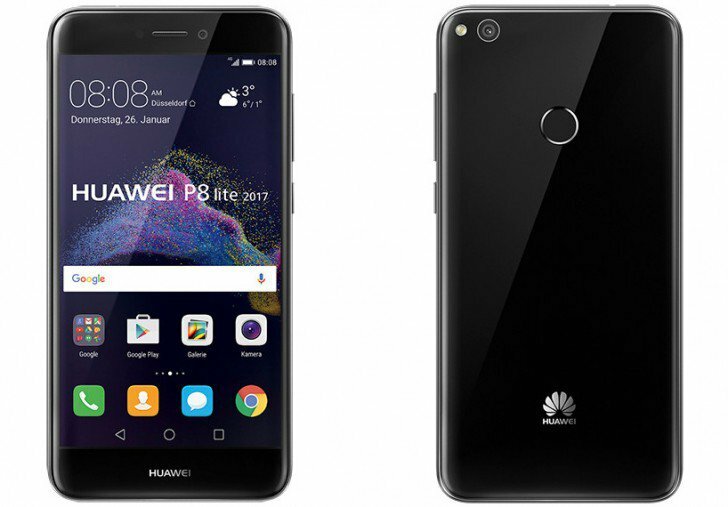 Huawei has unexpectedly released an upgrade of the older P8 Lite phone. It’s very rare in the consumer electronics industry to give a new phone the name of a two-year-old phone. Nevertheless, this is was marketers at Huawei has decided for the Huawei P8 Lite 2017 model. Huawei released the P8 phone in 2015, and shortly afterward the same year a lite version P8 Lite. Then it launched the current flagship phone Huawei P9 and the popular P9 Lite in 2016. This year we’re already gearing up for the launch of Huawei P10 and P10 Lite. But first the new P8 Lite. It’s common that manufacturers extend the life of popular products by launching yearly upgrades. Samsung, for example, has just announced yearly updates to Galaxy A7 and A5. The yearly update often applies to the last generation. Then why on earth does Huawei go back two generations for an upgrade? To complicate matters further, Huawei doesn’t even reuse the design of the original P8 Lite model. Instead, the new phone looks very similar to an Honor phone. Hence, it’s capitalising on the brand name of an existing phone. The case is made of plastic instead of glass as one would expect given the price tag of NZ$353 exclusive of GST. The pixel density of the 5.2-inch screen is rather high at 1,920 x 1,080 pixels. The mid-range octa-core Kirin 655 processor keeps the price of the phone down and comes with 3 GB of RAM memory. The storage capacity is limited to 16 GB, but luckily an external card can handle additional storage. The battery capacity is 3,000 mAh and the battery can’t be removed so users will have to recharge the only power source that’s available. The camera is, as always, really good, and the rear camera boasts 16 MP resolution and the front one 8 MP. Huawei will release the phone in Europe at the end of January. Latin America might receive the phone as well under the P9 Lite 2017 name. It’s unclear whether the phone will be released in New Zealand.